JoAnn’s is having another 3 day pattern sale. 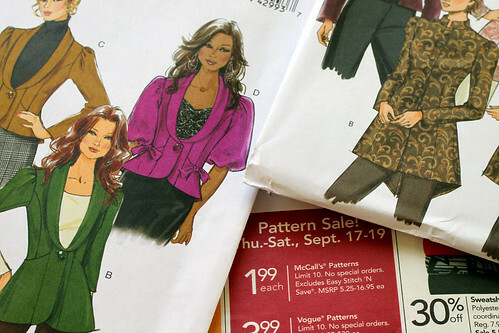 The two patterns photographed are Butterick for 99 cents each. This entry was posted on Friday, September 18th, 2009 at 3:00 am and is filed under Sewing. Tagged: Sewing. You can feed this entry. You can leave a response, or trackback from your own site.